Trump’s Lawyers Argue the President Is Above the Facts and Above the Law. Our Constitution Endorses Neither Presidential Lying Or Corruption. On June 2 the New York Times published a remarkable letter from Trump’s attorneys to Mueller’s Office of Special Counsel. A Trump tweet suggested Mueller’s office leaked the letter. There is no evidence the leak came from the Special Counsel. In the past Trump has made similar allegations and it turns out the leak was from Team Trump. Trump has hired and fired a veritable circus of lawyers, and anyone of them could have leaked it. Trump has a legitimate gripe. The press getting this letter is inappropriate. The late January of this year letter spells out to Mueller’s team the President’s case and why Trump’s lawyers believe he should not have to be interviewed. I agree these things should be kept confidential. No matter who gave the letter to the New York Times, it was extremely unethical. With that said the substance of the letter should disturb every American. In addition to asserting that the President can’t obstruct justice because he is justice, the letter includes an open admission of dishonesty by Team Trump with longterm deliberate deception of the American people. This focuses on the initial administration response to the disclosure of the June 9, 2016 meeting between Trump Jr., Kushner, Manafort and Russians. On July 8, 2017 the NYTs reported on the existence of the meeting. The next day the White House gave the Times a letter with the misleading cover story that the meeting was only about adopting Russian orphans. That story quickly unraveled because the NYTs already had emails showing Trump Jr., arranged the meeting hoping to get dirt on Hillary Clinton from the Russians. Notably, White House Counsel Mark Corallo, from the beginning, urged a more forthcoming response arguing the emails between Trump Jr, Kushner and the Russians would eventually come out. In a conference call Hope Hicks said the emails “will never get out.” This left Corallo with the belief that Hicks may be obstructing justice or destroying evidence, so he made contemporary notes about it and resigned less than two weeks later. Team Mueller is known to have interviewed Corallo. Trump Junior in testimony before Congress, on September 7, 2017, said he didn’t know if his father was involved in drafting the deceptive letter, saying “I never spoke to my father about it.” He acknowledged the President could have contributed edits or comments through Hope Hicks. Read pages 59–61 of the transcript, then recall that Trump’s attorneys now say the President personally dictated the letter. The dishonesty is undeniable. Here’s the real issue. The White House has been misleading YOU, to include just flat out lying to you, about this for all this time. Even if not a crime, it goes to the President’s credibility today. It also proves President Trump was personally involved in early efforts to cover up his campaign’s involvement with Russians. Now why would he do that? Nixon’s argument was that the President is the law, and so he can’t break it. 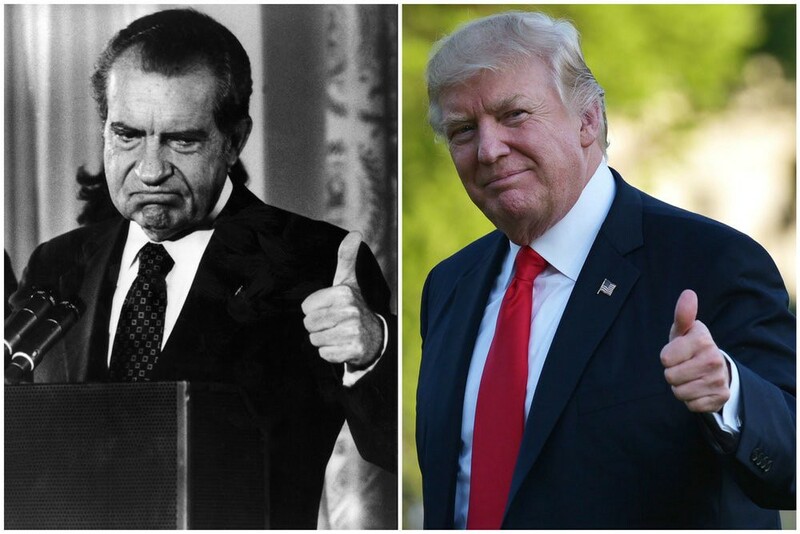 Trump goes even further than Nixon did. Trump’s argument amounts to the “the President is justice” and so he cannot obstruct it. The President is not justice. The President is charged with administering justice, but he is not justice. I suppose one could argue that if the President is fulfilling his Constitutional duty to faithfully execute the laws of the nation, that his argument might be true. However, if the core allegation includes that the President failed in this duty it follows that the President can obstruct justice. Under this approach the President could terminate an investigation as a political favor and it would be legal. Presumably he would also be free to order such investigations as political retribution. He has, in fact, attempted to do so. The investigation of “Spygate” has found it to be just another Trump scam, unsupported by credible facts, much like his claim that millions of illegal votes were cast in the election. I do not believe Constitution of the United States endorses Presidential corruption. Precedent is on my side. From one of the Articles of Impeachment for Bill Clinton. Could “favorable treatment” include pardons? Well, there’s not much more favorable treatment a President can do. The statement above in the President’s letter to Mueller that he could terminate the investigation by exercising his pardon power is rather concerning. Did the President have the letter leaked just so potential witnesses could see that statement? With this dishonest man, it’s certainly possible. Precedent establishes a President can be impeached for obstruction of justice, one has been so impeached, and another was pending, interrupted only by his resignation. Obstruction of justice can include false and misleading statements intended to deceive the American people, interfering with investigations of himself, payola to silence witnesses, and using a pattern of pardons to communicate to potential witnesses that they may receive similar treatment from a grateful President. The President is not above the law or justice. He is not himself law or justice, he is just charged by our Constitution to faithfully administer these core American values. When the President does not faithfully execute these core values any criminal acts he commits are not shielded by his office or the Constitution. Presidential corruption is not a Constitutional principle. Impeachment, for corruption, is.